Apple will enter the video subscription market later on Monday when the technology giant is expected to announce plans for a new TV and film service. The most high-profile of the rival services, Netflix has more than 130 million subscribers globally and features a mixture of award-winning original content and other TV and film releases. Users can watch content on-demand on a variety of devices, from laptops to smartphones and video game consoles. It is also possible to download shows to watch offline when users do not have an internet connection. Netflix also offers tiered monthly subscription pricing, with prices ranging from £5.99 for the basic service, to its £9.99 premium service which includes access to compatible content in Ultra HD resolution and the ability to watch on up to 4 different screens at the same time. Available as part of Amazon’s wider Prime rewards programme which offers faster delivery times on items bought from Amazon’s e-commerce business, Prime Video is a mix of popular third-party content and its open original programming. The service is available across mobile devices as well as Amazon’s line of Fire TV plug-in boxes and sticks and PCs. It also includes Amazon’s X-Ray feature, which enables users to identify actors and songs while watching a programme and find out more about them. Subscribers can choose to pay £7.99 a month for the full Prime service which includes faster parcel delivery and access to Prime Music, or pay £5.99 for just Prime Video. 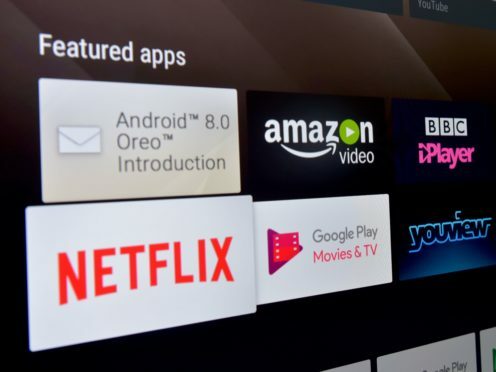 In the US, Prime Video also includes a Channels feature which enables users to sign up to other third-party services, such as those offered by networks HBO and Showtime. Expected to launch later this year, BritBox is a joint venture between the BBC and ITV into the TV streaming market. Said to feature the “biggest collection of British content available on any streaming service”, it is expected to include high-profile programming from both the BBC and ITV, and could also include content from Channel 4 and Channel 5. It is being touted as a “long-term home” for many shows after they are no longer available on catch-up services such as the BBC iPlayer and ITV Hub. Pricing and full launch date are still to be confirmed. Another service still to be launched, Disney+ is expected to go live in the United States later this year with a collection of Disney, Pixar, Marvel, Star Wars and National Geographic-based content. As well as classic films and TV episodes, the platform is also expected to host a wide range of original programming that will appear first on Disney+. Further details, including pricing and UK release date, are still to be released.